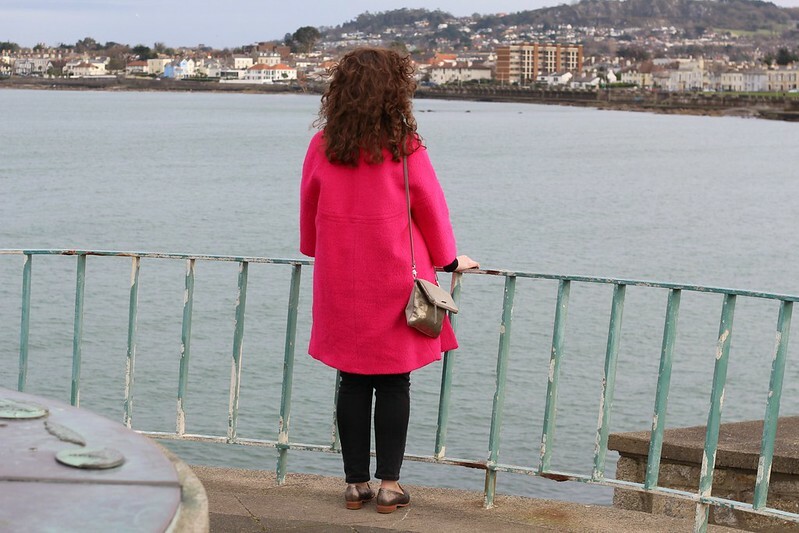 I had a rare weekday off last week so we took advantage and got the train to Dun Laoghaire for the afternoon. We went for lunch in a cute restaurant called Gourmet Food Parlour. 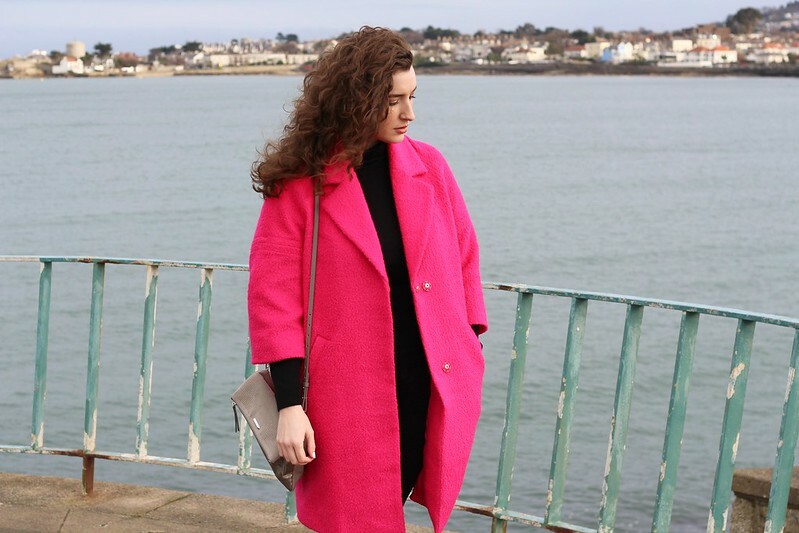 It was freezing but we still took a walk down the pier and stopped along the way to take some outfit photos. 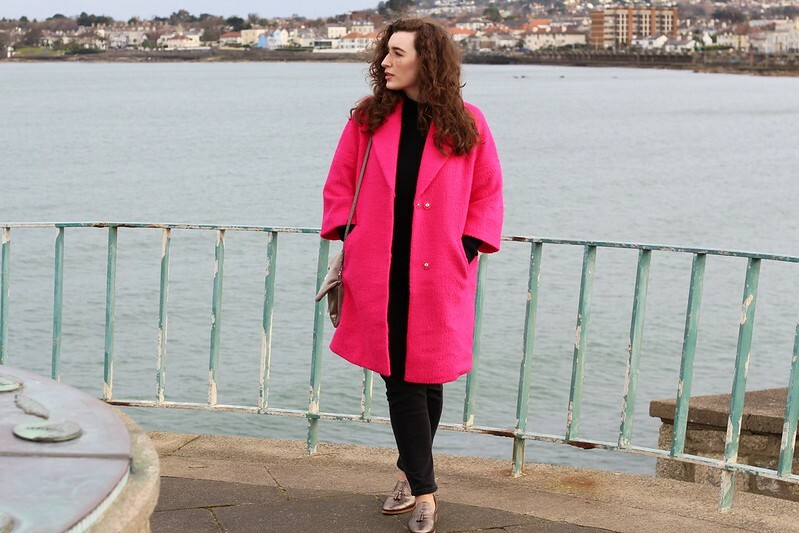 So obviously the bright pink coat is the reason I wanted to photograph this outfit. I saw it in Dunnes at the beginning of January and fell in love. It's totally not a colour I would usually gravitate towards, in fact I think it's one of only two pink items of clothing that I own. It's kind of oversized and not exactly the most flattering shape but I absolutely adore it. 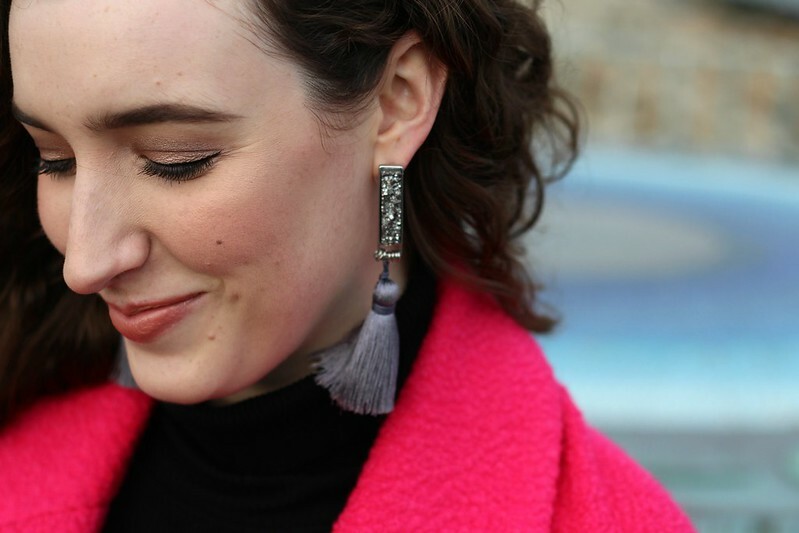 Continuing my obsession with tassel jewellery, I saw these earrings in H&M and thought I didn't need them but after a second look I had to buy them, I think they look a lot more expensive than their price tag of only €7.99. The bag was one of those purchases I had been thinking about since I saw it at a Stella and Dot press day last year. I bought it in January after getting a Christmas bonus in my new job. 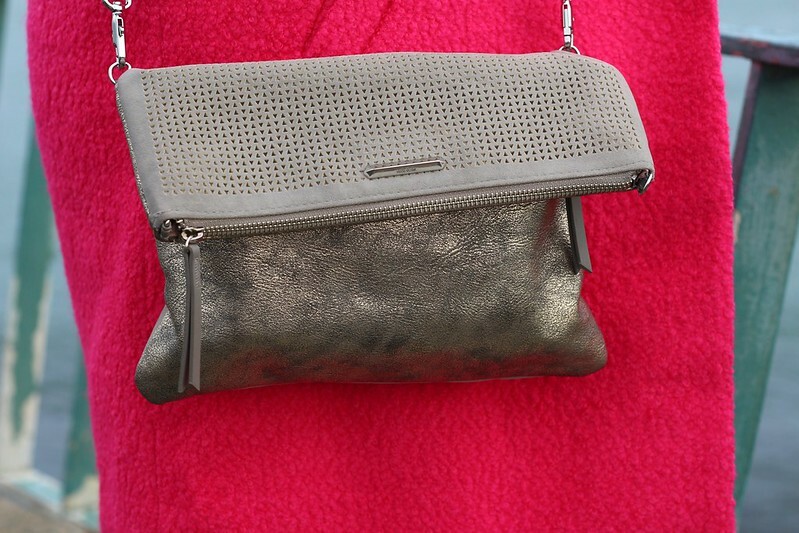 I love the suede and brushed metallic mix and it can also be used as a clutch as the strap is removable. This particular style comes in lots of different patterns and colours, in fact my sister has the tan and stripe one which is such a cute cross body bag for Summer. The Clarks shoes were one of my few Christmas sale purchases. I saw these in early Autumn and loved them so when they went into sale I picked them up immediately. The metallic finish actually matches that of my bag. Before I bought this polo neck top I don't think I'd worn one since I was a kid. I just love how warm it is having my neck covered. 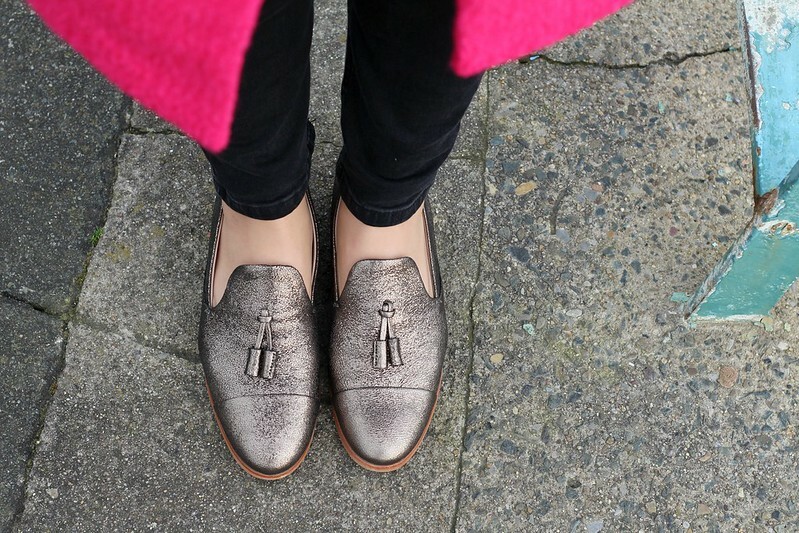 I just think they're such a chic Winter wardrobe staple. These jeans are the relaxed skinny fit from Dorothy Perkins. I don't really shop there but I was browsing one day and came across these jeans. 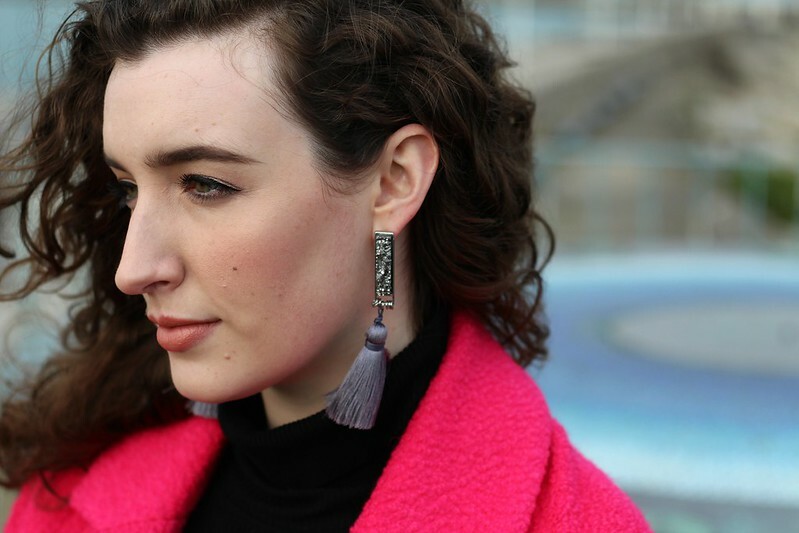 I loved the relaxed fit and charcoal shade, they're so comfortable on and a great price too, I'm definitely going to get them in another colour. Lastly my watch was given to me at a press day and I've been reluctant to wear it because I love it so much and don't want to ruin it. 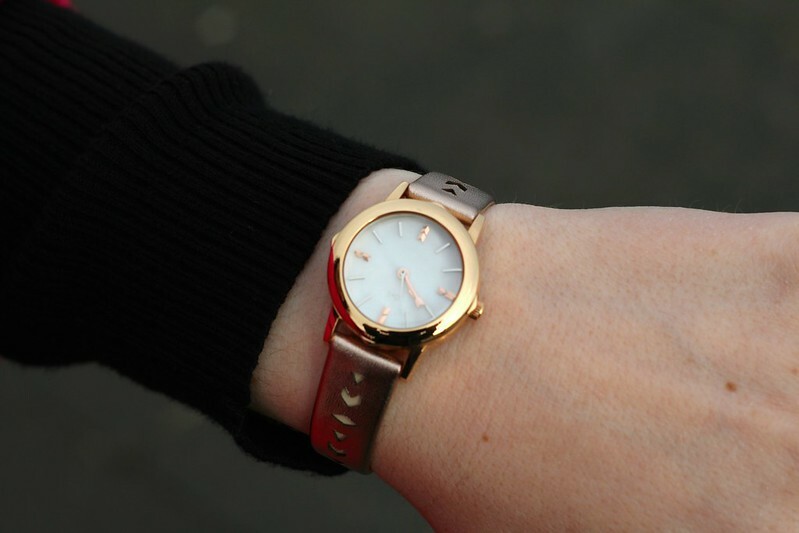 I love the rose gold cut-out strap which you can actually interchange with other straps that are sold separately. I have a black leather double strap and they also come with a silver bezel so you can totally change the look of the watch depending on what you're wearing. 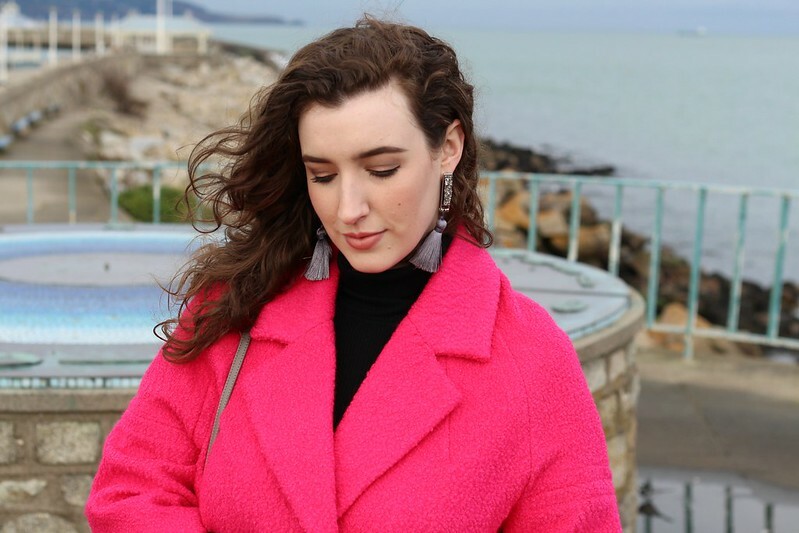 Tell me some of your current wardrobe favourites! I'm happy to go sight-seeing with you again, dear friend. The view from that pier looks marvelous and I can imagine how invigorating the chilly wind felt. Here in our part of Florida the weather is warming rapidly. The temperature didn't get anywhere near freezing all winter long. I only wore a jacket once the entire season! 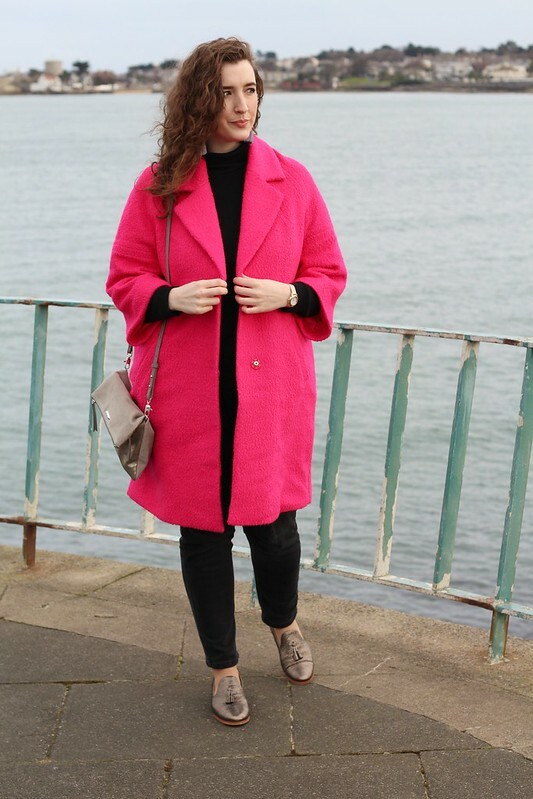 I admire your lush pink coat and the other elements of your outfit. It's great to see you again, dear friend Emma. Take care! You'd get a shock here Tom, it's been freezing, but is finally starting to warm a little. Hope you're well! 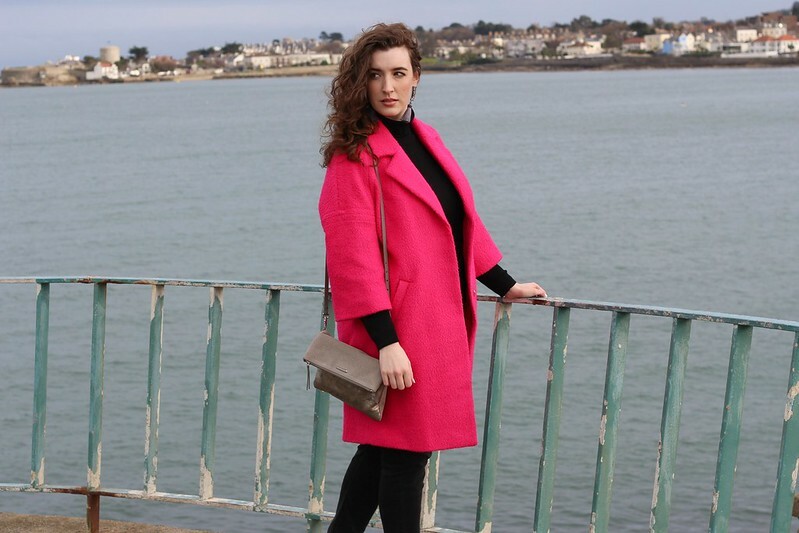 You look beautiful and that Dunnes coat is fantastic!